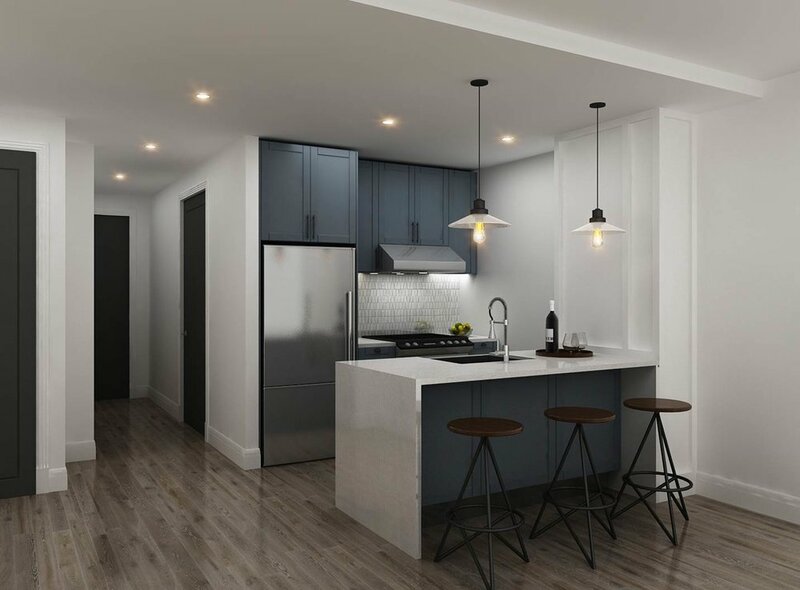 RXR Realty, one of the largest real estate owners, managers and developers in New York, just unveiled 475 Clermont., a 12-story rental building is situated at the intersection of Brooklyn’s burgeoning Fort Greene and Clinton Hill neighborhoods. The building will have 363 luxury residences paired with a suite of incredible amenities for all ages. 475 Clermont will offer residents an elevated and all-encompassing lifestyle experience through its robust amenities, residential programming and experiential retail elements. “475 Clermont will offer exceptional quality in its thoughtfully designed homes and amenity spaces,” said Scott Rechler, CEO and chairman of RXR Realty. Designed by Aufgang Architects with interiors by Durukan Design, the 363 residences range from studios to two-bedrooms with ceiling heights up to 11-feet-high, wide-plank white oak hardwood flooring, a custom chef’s kitchen, Bosch washer and dryers in every unit and private outdoor space in select residences. RXR places an emphasis on culture and creativity for their residents which is apparent throughout the entire building – the lobby will feature a one-of-a-kind neon art piece by renowned street artist Mr. Brainwash piece. The building’s landscaped courtyard will also be home to a 90-foot tall mural by San-Francisco based muralist Mona Caron. Amenities include a rooftop terrace and lounge featuring outdoor movie screen, bocce court, and game tables, library lounge, indoor/outdoor children’s playroom, indoor/outdoor fitness center and pet spa, to name a few. Douglas Elliman New Development Marketing is handling leasing, which starts from $2,330 a month for a studio, $2,805 a month for a one-bedroom and $5,210 a month for a two-bedroom. Occupancy is slated for April 2019.